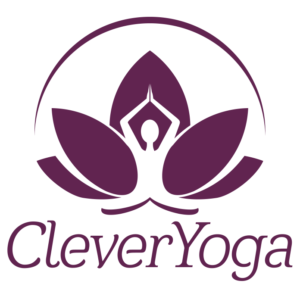 Are you looking to start learning yoga? My main reason for taking up yoga was to stay flexible and to keep a bad knee from becoming too stiff. No matter what your reason, taking up yoga is a great choice. If you’re a total novice, don’t panic. 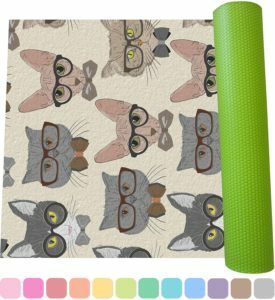 The CopyCat Yoga Instructional and Educational Yoga Mat is ready and waiting to teach you the basics… and it doesn’t talk back! If you are taking a yoga class, having this mat is going to ensure that you don’t get left behind. You will know where to place your hands and feet correctly without feeling lost like a complete beginner. This is the absolute best mat for beginners of all ages. Honestly, kids love it just as much as adults. The mat reminds me of the game Twister where you have to follow the colors to stay in the game. What a neat idea for making yoga fun and educational at the same time. 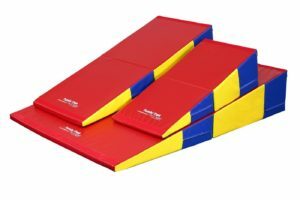 The educational design of the mat is as ingenious as it is helpful. With proper hand and foot placements printed directly on the surface, you can’t go wrong. In addition, the mat also features easy-to-understand illustrations of nine different poses. It’s a product that truly grows with you and your level of experience. 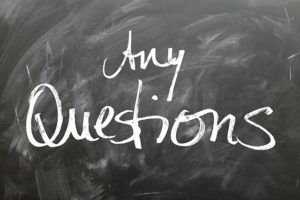 It is often much easier to learn something new by being ‘shown’ rather than by just trying to teach yourself. While learning from a DVD is great, you are still not certain if you are doing the pose correctly. At least now you will know if your hand and foot placements are correct. Once you’ve mastered the basic nine placements, you’re invited to watch a variety of other instructional videos on the official CopyCat Yoga website, all from the privacy of home. I love working out at home, especially during the cold winter months. You now have no excuse for not getting your workout in! I do like to try and buy eco-friendly products whenever possible. If eco-friendly purchases are important to you, this mat fits the bill. SGS tested and certified, it’s manufactured without the use of latex or other toxic materials. In regard to size, the instructional mat is both extra long and extra thick. The actual size is 72″ x 24″, which is several inches longer than the standard size. However, it’s easy to self adjust, meaning it works with any height. The mat is 6 mm (1/4″) thick. It provides ample cushion to your elbows, knees, and tailbone. If you’re looking for a portable version, this one rolls up quite tightly and easily. Folding is possible but not recommended. 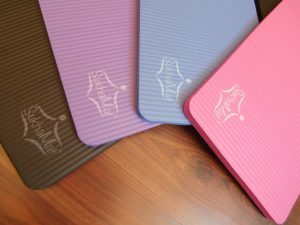 A slip-free mat is very important for beginning yogis, especially if it’s your first time practicing a difficult pose. The last thing you want to do is twist your ankle or do something worse. If you’re planning on placing the mat on carpet, rest assured, you shouldn’t have an issue. The fact that this mat is void of straps, doesn’t seem to be a problem for the people who use it. If you would rather transport your mat in a bag, it’s easy to order one as a separate purchase. Prices are affordable and usually don’t put a strain on your wallet. And yoga bags come in a variety of colors that you get to choose later. A money-back guarantee is an important feature of any product you purchase. 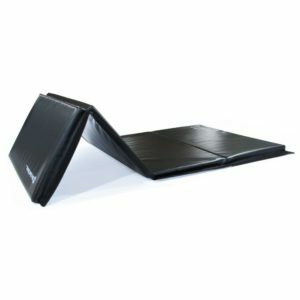 CopyCat Yoga offers customers a 90-day 100% money-back guarantee, return shipping included. If for any reason you don’t feel as though the mat helped you learn yoga, simply return it for a full refund, no questions asked. CopyCat will also replace your mat for up to a year, in the event of manufacturer defects. Please note, defects from “normal wear and tear” will not be covered. 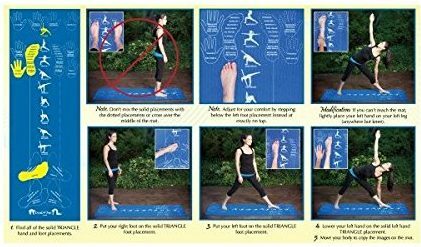 In the event, yoga isn’t your thing, the Copycat Yoga Instructional Mat makes a great gift for your favorite yogi-wanna-be. Why buy something that might end up gathering dust in the garage, when you can give the gift of better health? It’s the perfect way to say you care! Even if you plan on going to a yoga class, you can brush up on your moves before your first class, just by using this mat. What are you waiting for? 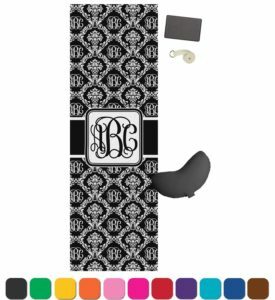 Order this really cool beginner’s yoga mat today!